"Islands of Fire" won 2 prestigious awards for best seakayaking film. 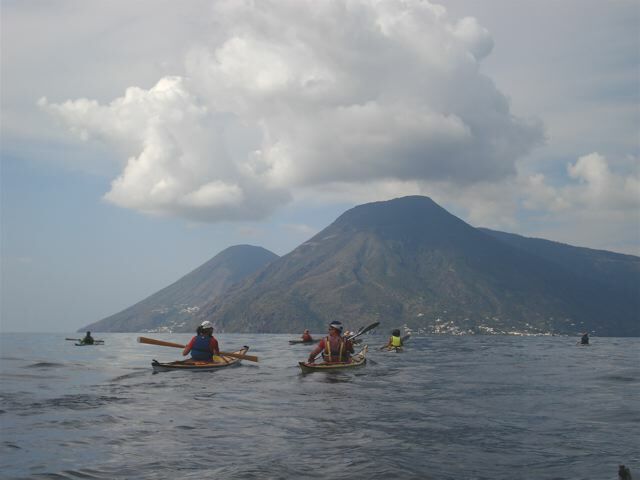 Justine Curgenven joins local Italian paddlers on a tour of the warm turquoise waters in Sicily´s Aeolian Islands. This charming film offers an insight into the Italian way of life, with good food and good humour. Explore rugged coastline and crossing between islands with dolphins and turtles. A highlight is climbing up the active volcano of Stromboli which errupts every 10-15 minutes. HighDefinition (encoded with the H264 codec with resolution 1280 x 720). 32 minutes. 727 MB. HD. 16 x 9 widescreen.